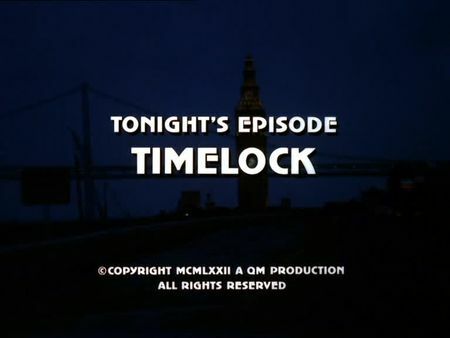 You can now find the screencaps for Timelock added to the episodes section. This one starred Peter Strauss, a recurring guest star for the series, as Bobby Jespon, a convict out of San Quentin federal penitentiary on a 36-hours pass to find a job as part of a resocialization program. Being an honorable man - but somehow lacking of self-confidence - Jepson needs the help of Mike Stone when he finds himself accused of murder only a few hours after his release. Apart from the serious background and the murder case, this episode is fun to watch as well. Mike has a pending travel booking for a trip to Hawaii but is looking for as many or good excuses as possible to miss it (for the fourth time in a row, as we learn). So, Steve is quite making fun of his partner's addiction to the job but, finally, Mike has a good laugh at Steve too. It is one of those episodes underlining the special relationship and chemistry between our two cops and it's really enjoyable.